A serene, quiet gallery lends an air of sophistication and comfort, allowing your guests to more fully experience and enjoy their visit. Chatter from museum speakers can distract and disturb your guests, threatening the peaceful environment you strive to provide. Audio Spotlight systems are used by the world’s top museums to provide localized museum audio for those who wish to hear sound, while maintaining quiet elsewhere. The Audio Spotlight is a revolutionary directional audio technology that creates sound in a narrow beam, just like light. Aim the flat, thin museum speaker at your desired listening area, and provide all of the sound and none of the noise.™ Museums throughout the world have chosen this patented technology to provide high-quality, precisely controlled sound, while preserving the quiet. Directional sound for specific displays - and quiet elsewhere. Several directional audio soundtracks in one room - without disturbing others or interfering with one another. The Battle of Britain Memorial opened their new building, "The Wing," at the Capel-le-Ferne in 2015. Aptly named, The Wing serves as a dedication to the Britain's Royal Air Force pilots who took to the skies to fend off German attack in World War II. The new facility houses 'The Scramble Experience,' a sprawling exhibit featuring multiple massive, wall-sized videos, complete with interactive hands-on elements, such as the ability to take command of the British fleet. Delivering the sounds of the skyfield battlefront, filled with plane engines, communications, gunfire, explosions and all, were a series of thirteen Audio Spotlight speakers. The exhibit's designers selected the AS-24i model, due to its stronger output and low frequency response, as well as the intended coverage area. The Audio Spotlight technology proved to be the perfect fit for The Wing's multisensory exhibits, fully immersing visitors in another time and perspective. 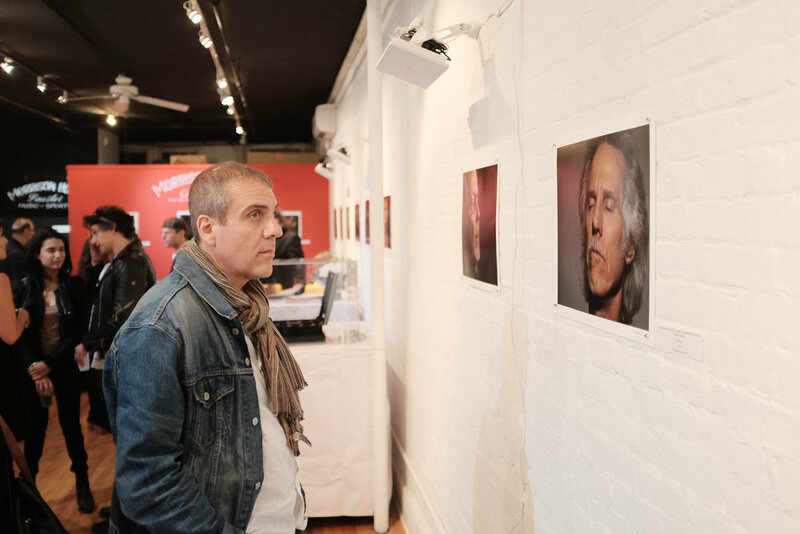 In the fall 2016, the famed Morrison Hotel Gallery of NYC brought in the refreshingly unique works of photographer Richard Ehrlich, featuring his "Face the Music" exhibition. In Ehrlich's prolific portrait exhibition, he captures the world's greatest musical minds reacting to their own favorite music. Expanding on his visual art, and enhancing the private, intense, and expressive moments already captured within his photography, Ehrlich decided to deliver to gallery guests the actual music each artist was listening to at the moment their portrait was captured. In front of selected artist portraits, their own favorite song played, produced by a single AS-168i speaker at each location. Adding an intimate glimpse and direct connection with which each guest could fully appreciate every photograph, was the Audio Spotlight technology, harmoniously complementing Ehrlich's brilliant photography. Artist-in-Residence Ramon Rivera Moret unveiled his video installation, "The Ordinal Directions," at Amherst College's Eli Marsh Gallery in Spring 2011. The installation featured four projected videos, with a viewing bench situated in front of each. A single AS-24i Audio Spotlight speaker was mounted above each bench, to ensure that sound was delivered to every seat, separately, and precisely. 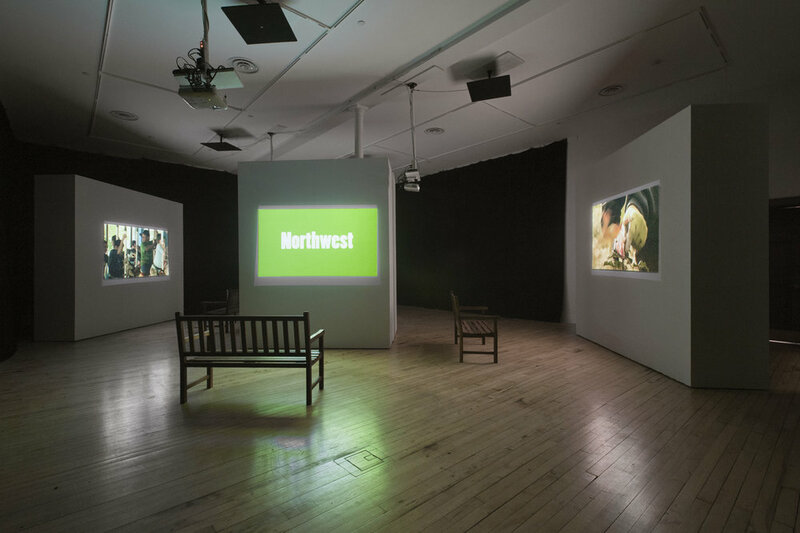 Rivera Moret's bench pairings did well to entice visitors to take a seat, and to fully appreciate the breadth of his thoughtful and artistic video footage, immersed with sound. There was no noticeable spillover between adjacent screens, nor any bleed apparent outside the gallery, thanks to the unparalleled directivity of the Audio Spotlight technology. In 2015, the Massachusetts Institute of Technology added three lobby exhibits to their infamous Media Lab, celebrating the life and work of Jerome B. Wiesner, former MIT president, science advisor to John F. Kennedy, and one of the original co-founders of the Media Lab itself. Titled "Jerome B. Wiesner: Visionary, Statesman, Humanist" the installation consisted of three side-by-side exhibits, each with its own physical display case of artifact and memorabilia, as well as an engaging digital signage element. A single AS-24i Audio Spotlight speaker accompanied each of the three screens, delivering sound for the video footage in front of each display. Spaced only several feet apart from one another, and with no physical boundary between them, the Audio Spotlight speakers kept sound isolated to each exhibit, and also to the activated lobby area exclusively while the rest of the learning facility remained appropriately studiously quiet.